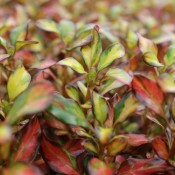 This amazing cultivar with its jewel-toned foliage is native to New Zealand, Australia and the South Pacific. 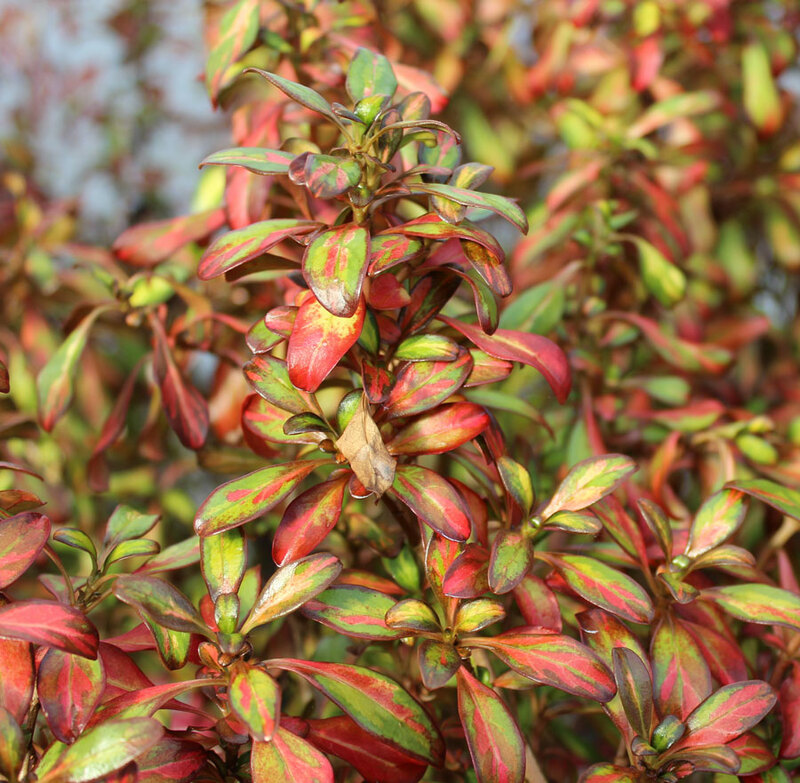 Coprosma is a tender evergreen shrub(min 40-50°F/ 7-10°C) grown primarily as a colour and structure plant. The shiny, smooth and glossy leaves are outstanding hence the New Zealanders affectionately call it the Mirror Plant. Suited for mild climates, it is low maintenance, easy to grow and tolerates coastal conditions. Coprosma is ideal for low hedging, borders, rock gardens, garden beds, and containers for balconies, decks and patio. It would be an outstanding plant for tropical gardens and with its tidy habit it would be suitable in bonsai applications.